I’m so intrigued as to how it tastes. It looks glorious of course and the perfect celebration cake. That CCC looks like a heart attack waiting to happen!! Ha Dom, you should get along to one – every CCC is a heart attack waiting to happen! I definitely want to have a go at making this, I’d seen a few recipes for red wine chocolate cake before but tasting yours and Ellie’s has confirmed that it actually does work! It was good to taste Ellie’s too – both good, both quite different. Wow! Looks amazing! Interesting the addition of red wine. All the cakes look gorgeous, I wouldn’t know what to choose! That sounds like a wonderful alternative to Christmas cake! Now that is a splendid idea, although I keep thinking I’d like to try a whisky cake. MY burning question … what type of red wine did you use? This is such an interesting recipe! A bottle of fairtrade Argentine Malbec. Although the first time around I used a bottle of red that was undrinkable but was fine in cooking. Absolutely love the sound of this. I love mixing alcohol with food! It always makes things interesting. There’s a bake sale coming up and I might just have to give this a try! If not, then it’s a perfect recipe for Christmas time. Thanks Hazel, I suspect this would go down really well at a bake sale as it sounds a bit intriguing and it does taste very good too. Otherwise, it would make a very good alternative to a traditional Christmas cake. My husband, a big wine lover is reading this over my shoulder begging me to make this cake!! YUM, that sounds gorgeous! I have never had red wine in a cake before, but the combination sounds like heaven. Thanks Sarah. 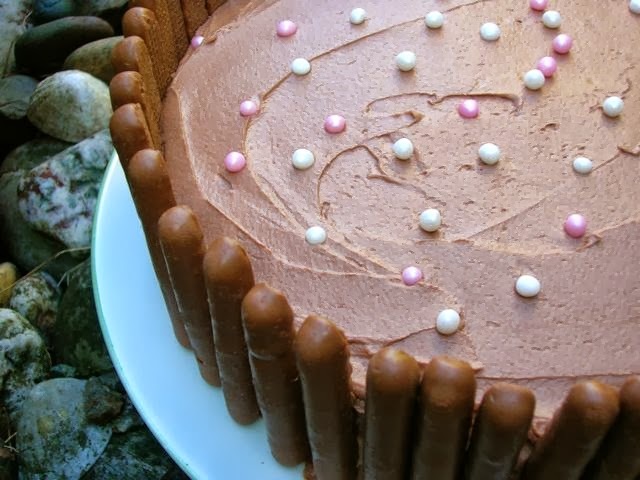 It works surprisingly well with chocolate in a cake and also ensures the cake is nice and moist. This sounds really interesting. I wouldn’t necessarily have put chocolate and red wine togegther like that – red wine can make me react a bot oddly these days, but I am tempted. It looks fantastic as do all the cakes! A little red wine distributed amongst all that cake is nicely diluted Sally, you can taste it though. And it really is a very nice cake. All the Cakes are looking awesome and the perfect celebration cake. It works amazinely well with chocolate in a cake and also ensures the cake is nice, tasty and yummy. I wouldn’t know what to choose? Thanks Louise. It’s always fun making new discoveries and this was a really good one. Thanks Johanna, it’s nice and easy to shed any cake eating guilt when everyone around you is eating cake too?